If Comcast is your cable provider, perhaps you're aware that they're long on introducing spiffy new features and short on making them "just work". Their innovative integration of TiVo software with their cable boxes, their iPhone app (which allows you to check Comcast E-mail, listen to your Comcast Digital Voice voicemail, and check TV listings), and now Universal Caller ID are all fine examples of really cutting edge technology...that doesn't work very well without a lot of work on your part. A flyer in the Sunday paper a few weeks ago announced Universal Caller ID which promises to let you know who's ringing your phone via a little pop-up window on your PC -and/or- on your TV. Pretty cool! Or so I thought. We have Comcast TiVo, so the directions didn't make sense for the menu options we have. Although their FAQ page mentions TiVo no working, it's not clear whether this is a statement about true TiVo boxes -or- Comcast TiVo boxes. Later discussions and experimentation would reveal it does *not* work with Comcast TiVo boxes. I thought perhaps it had something to do with primary vs. secondary usernames. Honestly, I've never understood why we have so many passwords with Comcast. 2 I understand (1 to maintain the account, others for E-mail and such). But unique username/passwords for Comcast Triple Play Rewards that gets renamed every few months? Too much. At any rate, that wasn't it- I was using the primary username/password. Okay, once in the chat session I explain my problem. The agent asks some basic questions and then checks my account and informs me that it's not set up on my account. I ask if there was some way that I was supposed to request it be set up, or documented somewhere that you needed to call to set it up? No worries he said- it'll be all set. In 48 hours. Okay, wait a couple of days and give it a whirl again. Still not working. Wait another day just to make double-dog-sure enough time has passed. Still no juice. What the heck? I hit up @ComcastCares on Twitter. I should have just done this in the beginning. No having to fill out the chat room entry form this way and then having to wait for the laggy chat interface to update. Someone responds on Twitter right away and tells me someone will be calling me soon. Get a call, and the technician says my account isn't provisioned for Universal Caller ID. I tell him that I went through this lengthy chat session on Monday where they said the same thing already- is there a record of that in my account? No record he says. So I send him the chat log which shows I've already had this conversation. While I'm talking to him, I ask about something I've been curious about- whether it works for primary and secondary lines. He says I have to tell him which line I want it to work with. Bummer! I wanted it to work with both lines, but my secondary is more important. So he changes the provisioning request to work on the second line. And I wait for another 24 hours. It didn't take 24 hours this time- a little later in the afternoon I get another call back and it's working. Sweet! Just for kicks, I test it on my secondary line too and it works. Pretty cool- I'm up and running! 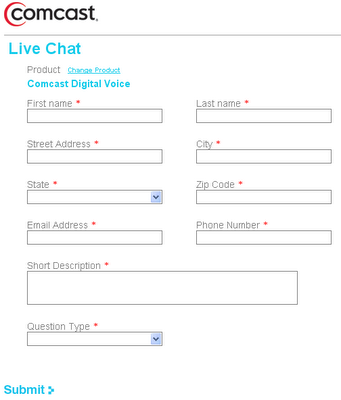 I really like the way Comcast innovates. And uses Twitter. But I really wish they'd get things to work out of the box a little more, and if they can't make that happen let us know on their website what doesn't work and let us know when we have to call and request something on the phone. Hope this is helpful. I think it's worth calling Comcast to get it set up, but I'd recommend starting with Twitter to get to the front of the line. You mean, you actually got past the "Login Failed" dead end? Would really really really like to get rid of all the login crap. I get a splash screen telling me I'm logged in and connected and a little system tray window telling me I'm logged in. Most apps have this right, the icon appears in the system tray, and that's all you get unless there's an error...what's up with Comcast that I have to dismiss 2 windows before I can get going after booting my computer?? ?